earn loyalty points with mrboxonline! While shopping at MRBOXonline.com you will earn Loyalty Points for the money you spend. Once earned, you'll be able to use those points to pay for future purchases at MRBOXonline.com. 1 point for every $1 spent on purchases over $50. 25 points when you refer a friend. 25 points for every product review. Points are automatically calculated on your account. Simply log in to view your points. To use your points, log in and enter the amount of points you would like to redeem during checkout. To thank you all for your support and to offer future incentives to you we wanted to give something back, this is why we have launched this great Loyalty Point Program. Our Reward Point Program is as simple as it sounds. While shopping at MRBOXonline you will earn Loyalty Points for the money you spend. Once earned, you'll be able to use those points to pay for future purchases at MRBOXonline. The Reward Point Program began on May 4, 2012 . All purchases made after that date will earn points. When an order is placed, the total amount of the order will be used to calculate the amount of points earned. These points are added to your Loyalty Points account as pending points. All pending points are listed in your Loyalty Points account and will stay there until approved/confirmed by MrBoxOnline.com. Currently, for every $1.00 spent at MRBOXonline you'll earn 1 Loyalty Point. Please note, the above example was for illustration purpose only and we reserve the right to make changes to the above rate at any time without prior notice. 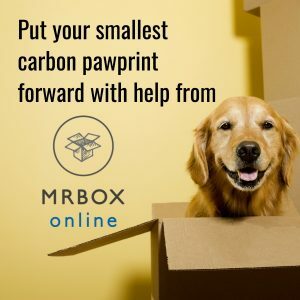 If you have a balance in your Shopping Points Account, you can use those points to pay for purchases made at MrBoxOnline.com. During the checkout proccess, on the same page that you select a payment method, there will be a box to enter the amount of points you wish to redeem. Enter the amount of points you would like to spend or pick the box to use all available points. Please note, you will still have to select another payment method if there is not enough in your Shopping Points Account to cover the cost of your purchase. Currently, a minimum of $50.00 in total (per purchase) is required before any Points Redemptions can take place. A maximum of 1,000 points ($10.00) is allowed to redeem per order. When referred friend places an order, during the checkout procces on the same page that you select a payment method there will be a box to enter a Referral code . Your Referral code is your registered email address with us. Please make sure your referral enters your registered email address with us. Your Referral code is your registered email address with us. When we receive your referred friends completed and approved order, we will reward your Points account with 25 points . "Writing a review is ego boost knowing others read your opinions, and maybe even take your advice." We would like to thank you for helpful review that you gave us, therefore for every quality review, we will reward your points account with $0.25 worth of points . 1 MRBOXonline reserves the right to refuse or remove any review that does not comply with above conditions. 2 MRBOXonline staff reserves the right to correct misspelled words, grammatical errors. 3 MRBOXonline is not responsible or liable in any way for ratings and reviews posted by its customers. Loyality Points are only available to registered MRBOXonline member's. Loyality Points Reward can only be collected and used with online purchases. and are only validated at MRBOXonline. Loyality Points are non-refundable and can't be transferred between member's. Loyality Points are non-transferable or exchangeable for cash under any circumstances. Loyality Points will not be refunded for any cancelled order. Fraud or abuse relating to the accrual of Loyalty points or redemption result in forfeiture of accrued points. 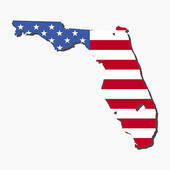 When buying with Points,you will still have to select another payment method if there is not enough in your Loyalty Points Account to cover the cost of your purchase..
Florida A&M Tape & Packaging, Inc. et. al will not be responsible for typographical errors and/or photographic errors and/or omissions in this program.